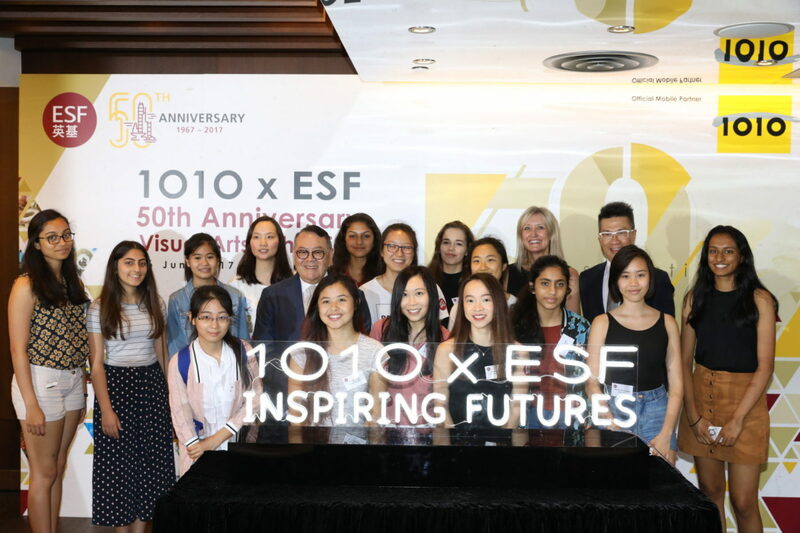 For the English Schools Foundation (ESF), 2017 marks 50 years’ service to Hong Kong. 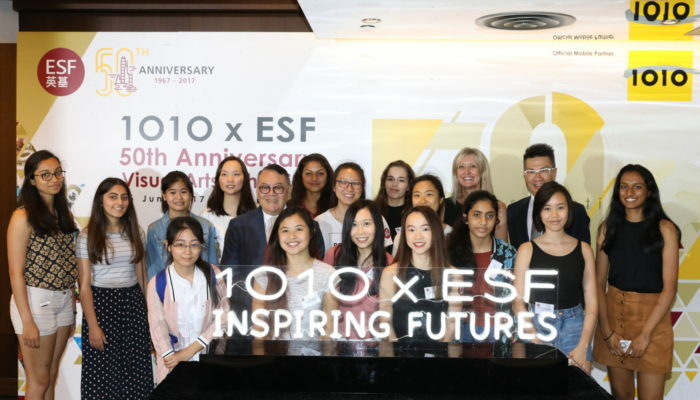 A series of events are organised throughout the year to celebrate ESF’s world-class education, highlighting the incredible achievements of students, staff and alumni. Two events, the ESF Secondary Concert and ESF Primary Choral Concert, were successfully performed earlier this year. From June to July, a Visual Arts Exhibition will be held for the public. Themed ‘Views of Inspiration’, the one-month exhibition features outstanding artwork from ESF students in Years 10 to 13 who have completed coursework as part of their iGCSE, BTEC* or International Baccalaureate (IB) studies. Three talks from educationalists and local artists will be held for the public. The exhibition is part of the ESF Art & Music Festival, which is a public community launch for the ESF 50th Anniversary celebrations. The event is sponsored by 1O1O, a premium brand of CSL Mobile Limited, who shares ESF’s objective to provide a platform for ESF students to present their unique inspiring vision in the form of visual art. ESF has introduced the International Baccalaureate Career-related Programme (IBCP) at some of the secondary schools, offering opportunities for students who have a particular career path in mind. This builds on the success of Renaissance College (RCHK) who have collaborated with the Savannah College of Art and Design (SCAD) as part of their IBCP offer which saw the first students graduate successfully in 2016. ESF has also launched a new joint programmed with the Hong Kong Academy for Performing Arts (HKAPA) to offer performing arts through the IBCP. The course is for post-16 year-old students and will commence in the 2017/18 academic year. ESF seeks to deepen the partnership with the IB. By 2018, we will be the largest provider of the IBCP in Asia. “ESF is committed to nurturing creativity and innovation, playing to students’ strengths and interests. The IBCP supports a personalised approach to learning, enabling students to focus on creative projects and practical inquiries,” Belinda Greer, ESF Chief Executive Officer, remarked. *The full names of iGCSE and BTEC are International General Certificate of Secondary Education and Business and Technology Education Council.